November 10, 2010 was shaping up to be like any normal working day for the staff of MU Brno, our children’s toy company in South Moravia. Then, however, the firm received a mysterious phone call from two gentlemen based at the US Embassy’s American Center in Prague who said they were ringing on behalf of the Astronomical Institute of the Czech Academy of Sciences. Previously unknown to us, Miroslav Konvalina and Pavel Suchan asked if they could get hold of one of the official plush toys of the famous Czech cartoon character Krtek, known as Little Mole in English, which we produce. 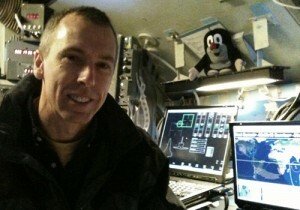 This would not be a strange request, , but they went on to reveal that they wanted to send the cuddly toy to an American astronaut Andrew Feustel, whose family has roots in the Czech Republic and who decided that the Little Mole, character created by Czech animator Zdeněk Miler, would be the perfect travel companion on his forthcoming space mission. They believed that the Little Mole was the best representative of the Czech Republic for the last flight of the Endeavour Space Shuttle. 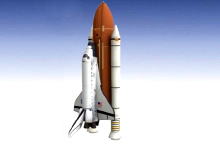 Mr. Feustel himself said he would pack the lovable little toy along with his personal items he will take onboard the space shuttle. He expressed hope that the Little Mole would bring his mission luck, but primarily remind him of the fantastic welcome and hospitality received by him and his family the last time they visited the Czech Republic in 2009. It was clear from the beginning that we weren’t making any ordinary Krtek, of which we have already produced hundreds of thousands, but a special model that complied with NASA’s strict regulations. Although we would stick truthfully to Mr. Miler’s original creation, this particular plush Little Mole had to respect NASA’s space flight rules and also the requirements of the gentlemen from the Astronomical Institute:the toy´s dimensions had to comply with the size restrictions on the astronaut´s luggage and the materials used had to be non-flammable. Although the flight itself was still far away, Mr. Konvalina and Mr. Suchan conveyed the wishes of the Houston Mission Control Center that the sample had to be sent to the US almost immediately so that NASA’s internal deadlines could be met. Whether NASA would approve of Krtek´s voyage onboard the Endeavour space shuttle was, at that point, anyone’s guess, but we were carried away by the enthusiasm of the Feustels and the two gentlemen whose phone call had started the whole affair. Firstly, in the Czech society, the Little Mole represents good characteristics that are often lost in today’s hurried and aggressive world and our hectic lifestyles. Mr. Miler’s cartoons are comprehensible to children all over the world without the necessity of dubbing because of their beautiful craftsmanship, themes and the fact that the characters communicate in sounds rather than words. The topics are timeless, understandable and genuinely delightful. 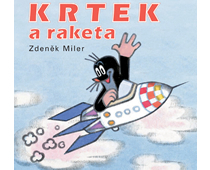 Furthermore, due to our 26-year-long association with Mr. Miler and the fact that we sell the Little Mole soft toys across 15 countries, we know there is huge interest in Krtek who acts as a dignified ambassador for our country and its author. We can witness Krtek’s success across all cultural when he recently became a huge hit at the Shanghai Expo. As a result of a combination of circumstances, the final flight of Endeavour now happens to coincide with several important dates connected to Little Mole: In 2011, Mr. Miler celebrated his own 90th birthday in February and his most famous character will celebrate his 55th birthday towards the end of the year. But back to the development of the Little Mole for Andrew Feustel. Little Mole soft toys have been made in our Brno-based company for 26 years, but in our contract there is no mention of orbits, outer space or astronaut’s equipment. The first task was therefore to seek Mr. Miler’s agreement and then double check that the design for the new Krtek met his approval. After a series of phone calls and emails, we quickly managed to deal with the other contract details and the production of the toy itself could begin. The basis for this special version comes from the existing prototypes of the Little Mole which our designers modified for the requested size, shape and functionality. Electronic validation followed and on November 12, 2010 NASA-ready Little Mole left for Prague for his pre-flight preparations for his journey to the US. It was only a couple of days later that we received the first photo from Mr. Konvalina and Mr. Suchan, showing our special soft toy smiling at American astronauts inside the space shuttle simulator in Houston. We believe that all will end well and that we will get to see one of Mr. Miler’s first Little Mole stories – in which the character heads off to space in a rocket – happen in real life. On behalf of Moravská ústředna Brno we are delighted that we could help make a fairytale come true for our long-time little friend and his prestigious creator.